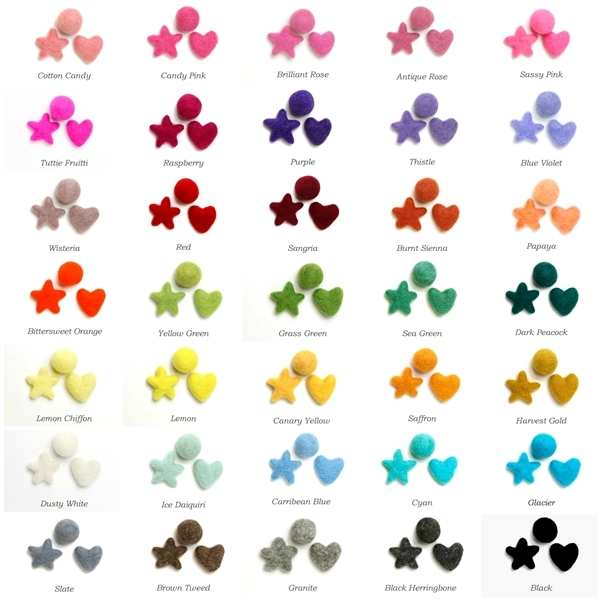 QUANTITY: 10 felt stars made from 100% wool SIZE: 3 - 4 cm. COLOR: Choose from 35 color options. You will get 10 of the same color and style.